Despite gloom in the global economy and fears of a US-China trade war, growth in China’s retail sales (and direct sales in particular) remain robust. Chinese culture lends itself to the proliferation of network marketing models as it is very much a network culture where word of mouth marketing is king. However, multi-level marketing is illegal under Chinese law. It is crucial to avoid non-compliance with China’s strict laws. Fortunately, international MLMs hoping to tap in to the Chinese consumer market have options for doing so, if they’re willing to check their multi-level commission plans at the door. Networking marketing is alive and thriving in China. This can be seen in the dynamic and innovative nature of the business in China. Wildly successful domestic and international networking marketing companies have tapped into China’s relationship culture, known in China as “guanxi”. Indeed, anyone who has done any business in China has very likely heard the term guanxi thrown around. A local partner will likely tell you he has the right government guanxi to get the deal done. A supplier will advise he has guanxi with customs. Guanxi is the concept of close personal relationships that define Chinese social and personal networks. 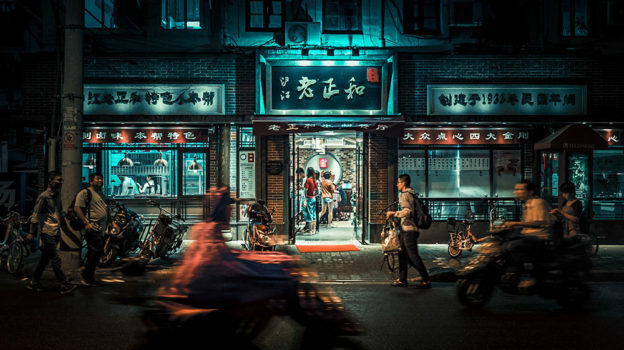 Guanxi is a web of personal connections that are often crucial to successful business in China. Guanxi is a key reason why network marketing is such big business in China. Word-of-mouth marketing has a much higher conversion rate than traditional forms of marketing because of the importance which the Chinese place upon trusting their close friends and family. This nurturing of relationships is what drives the prevalence of networking marketing businesses in China. However, network marketing is not static in China – the market is still growing and innovative programs are constantly popping up. Hundreds, if not thousands, of new network marketing business are founded in China each year so competitive companies need to innovate, whether in business model, compensation or reward mechanisms. Differentiation is key. A number of international network marketing companies have shied away from China due to the 2017 multi-level marketing (“MLM”) crackdown in China. The 2017 crackdown involved the PRC authorities taking strong action against pyramid schemes. This was a response to serious, criminal misconduct on the part of a number of Chinese MLM companies. It is important to note that the crackdown was clearly focusing on illegal activities by Chinese gangs that engaged in violence, kidnapping and other criminal activities that bear no relation to the business of legitimate network marketing companies. In our opinion, international network companies were more affected by overseas media than by the authorities within China. 2018’s cryptocurrency boom inspired many new network marketing companies. China had many new projects which allowed participants to invest in mining operations. In return, participants were promised a percentage of the tokens mined. One recent network marketing concept that is booming in China is “AI Sheep” by Game Ranch. This concept is cashing in on keen interest in artificial intelligence as well as longstanding affection for sheep. “AI Sheep” is marketed as a foreign project with a foreign team. Interestingly, there is no publicly available information on the English language internet in respect of “AI Sheep”. We assume that AI Sheep wishes to leverage the strong sense of trust Chinese consumers have in foreign companies. AI Sheep are purely focused on the China market – 1.4 billion consumers seem to be enough. It seems the game collects data of users and rewards users through accumulation of USDT (the stable coin tether) for participating and providing such data. Users manage their digital sheep and can see their USDT accumulate in real-time. This is a major selling point for recruiting new users. Despite the massive success of this game and other crypto-related network marketing businesses it is clear that they are extremely high risk for both operators and participants. On September 4, 2017, the Chinese government banned all initial coin offerings (ICOs) and any mention of selling tokens can be very risky. This combined with the longstanding Chinese prohibition on multiple levels of commission means that any network marketing company that combines these two concepts is engaging in a very high-risk enterprise. In addition, participants will face the risk of being stuck holding the bag as the Chinese government is swift in shutting down illegal operations. In such cases, companies may quickly disappear leaving nothing more than a team of angry downline affiliates who paid their subscription fees but have no product. To the detriment of the reputation of all network marketing companies among the Chinese people and government. We expect that the next crackdown will be against such types of companies. Chinese retail regulations are loosening to allow foreign network marketing companies to directly benefit from China’s consumer market growth. Cross-border e-commerce (CBEC) is growing exponentially in China as Chinese consumers’ appetite for foreign products—in particular skincare, cosmetics, and health supplements—increases. The two key benefits for international companies operating under the CBEC model is that they are not regulated under Chinese telecommunications laws and at least for the foreseeable future they do not need to comply with the filing and registration requirements for these types of products. In November of 2018, Prime Minister Li Keqiang announced that the grace period for registrations and filing, which was originally set to expire at the end of 2018, for CBEC will be extended for at least another year. This was an unexpected boon to network marketing companies that are selling cosmetics, supplements, health food and infant formula as these products, when sold via CBEC, are exempt from needing Chinese product registration. While CBEC has opened up a channel for international network marketing companies selling lifestyle and wellness products into China, the risk remains that these activities, if not structured properly, may be deemed to be illegal pyramid sales. As such, international companies taking advantage of CBEC must ensure their compensation structure is compliant with Chinese laws and regulations. Multiple levels of commissions are still illegal in China. To demonstrate the importance of this issue with the Chinese government, there are currently only a handful of Chinese regulations that exercise extraterritorial reach, including the Cyber Security Law of 2017 and the Regulation on Prohibition of Pyramid Selling. Violation of this regulation is considered a criminal offense. Therefore, international MLM companies which operate in China must change their compensation model for that specific market. If such companies continue operating the same compensation model of multiple levels of commission within the borders of China as they do in their home market, they can be hit with criminal liability under Chinese law. SOSO, short for sales offshore service onshore, is a model that allows for representatives to earn single-level commissions for direct referrals and then additional service fees for services they provide the company instead of earning multi-level commissions on product sales. The SOSO model takes advantage of the option to conduct sales through CBEC. In other words, it’s good for the company, good for China, and good for the reputation of the direct sales channel in China. Instead of paying multiple levels of commission to sales affiliates onshore in China, SOSO companies pay a single-level commission for direct referrals to buy through CBEC. This type of commission is in compliance with Chinese law. Companies can pay additional service fee compensation for services affiliates perform. What do network marketing affiliates do on a regular basis? They promote and market products and services. They also train and support their teams. Both activities—promotion and support—are services provided by these individuals. Chinese law allows companies to pay single-level commissions as well as payment for these services. Under the SOSO model, affiliates earn compensation for promoting the products to Chinese customers and providing customer support on behalf of the international network marketing company. For more information on the legalities of expanding your operations into China, reach out to Mark or David.